Canary provides (1) a website located at www.canary.is and related domains (collectively the “Sites”) and (2) services accessible through the sites (the “Web App”) and software that may be downloaded to a mobile device (“Mobile Application(s)”) all for use with Canary’s home security device (the “Product”). Collectively, the Sites, Web App, Product, and Mobile Applications are referred to in these Terms as the “Services”. Your access and use of the Services constitutes your agreement to be bound by these Terms, which establishes a contractual relationship between you and Canary. If you are a resident of the US or Canada, these Terms are an agreement between you and Canary Connect, Inc., otherwise, these Terms are an agreement between you and Canary Technology Europe, Limited. In these Terms references to “Canary” “us”, “we” and “our” mean either Canary Connect, Inc. or Canary Technology Europe, Limited, as appropriate. These Terms give you specific legal rights. You may also have other rights, which vary from jurisdiction to jurisdiction. PLEASE NOTE THAT SECTION 17 OF THESE TERMS CONTAINS A DISPUTE RESOLUTION AND ARBITRATION PROVISION, INCLUDING A CLASS ACTION WAIVER THAT AFFECTS YOUR RIGHTS UNDER THESE TERMS AND WITH RESPECT TO DISPUTES YOU MAY HAVE WITH CANARY. YOU MAY OPT OUT OF ARBITRATION AND CLASS ACTION WAIVER AS PROVIDED BELOW. Personal Information provided to us may include “personal data” as defined by and subject to any national law of an EU member state adopted pursuant to Regulation (EU) 2016/679 (“Personal Data”). With regard to our processing of Personal Data we serve as the “controller” of the personal data you provide to us. In the event Personal Data processed by us is transferred from any EU member country to the United States, you consent to the transfer of your data to the United States. By using the Services, you acknowledge and agree that you are at least 18 years of age or the age of majority in the location from where you access and use the Services. If you are under 18 but are at least 16 years old you agree that you are using the Services with the consent of your legal guardian. If you are not at least 16 years old, you may not use the Services at any time or in any manner or submit any information to Canary or the Services. You may only access and use the Services if you are (a) able to enter into a binding contract with Canary, and (b) in compliance with these Terms and all applicable local, state, national, and international laws, regulations and rules. Canary provides content through the Services that is copyrighted and/or trademarked work of Canary or Canary’s third-party licensors (collectively, the “Materials”). Materials may include logos, graphics, video, images, text, software, and other content. Subject to these Terms, Canary grants you a limited, personal, non-exclusive, and non-transferable license to use and to display the Materials and to access and use the Services solely for your personal use. (i) modify, disassemble, decompile, or reverse engineer any of the hardware or software that constitutes the Services; (ii) rent, lease, loan, resell, sublicense, distribute, or otherwise transfer the Services to any third-party or use the Services on a time sharing basis or to provide any security or other services for any third party; (iii) make any copies of the software used to provide the Services; (iv) remove, circumvent, disable, damage, or otherwise interfere with security-related features of the Services; (v) delete the copyright and other proprietary rights notices on the Services; (vi) attempt to access, monitor, or use Products of other customers; (vii) use the Services in connection with accessing or monitoring any non-Canary device; (viii) access the Services in order to build a similar or competitive product; (ix) upload, transmit, or distribute any computer viruses, worms, or software intended to damage or alter a computer or communication network, computer, handheld mobile device, data, the Services, the Product, or any other property; (x) interfere with, disrupt, or attempt to gain unauthorized access to the servers or networks connected to the Services; or (xii) violate any applicable law or regulation. You are responsible for having all required software, hardware, and other system elements and making sure that they are compatible and properly configured. You acknowledge that (a) Canary cannot provide the Services properly if requirements and compatibility are not met, and (b) you will not receive notifications from your Canary device when the Product’s internet connection or power is lost, not operating properly, cut, or interfered with, or the Product is damaged or destroyed. You must have a working broadband internet connection and either a wired ethernet connection or a Wi-Fi router (802.11 b/g/n), a supported mobile device (to use the Mobile Application), and other hardware, software, equipment or items specified by Canary from time to time. We recommend a high-speed internet connection with at least 1 Mbps of upload bandwidth. Canary reserves the right to change any of the minimum system requirements at any time. To create an account you must submit your information through the registration page as prompted on the Mobile Application or our Sites, including your name, email address, phone number, zip code/post code, and address. You may provide additional optional information during setup which is not required to register for an account but may be necessary to provide you with full Services, to provide you with a trial of premium or Membership services, or might be helpful to Canary in providing you with a more customized experience. This information could include, for example, payment information, which would be processed in accordance with Canary’s Sales Terms and Premium Services. All the information that you provide when registering for an account and otherwise through the Site must be accurate, complete, and up to date. You may change, correct, or remove any information from your account by either logging into your account directly and making the desired changes or contacting Canary’s support team. The individual who first creates an account and sets up the Product is the owner of the Canary Product associated with that account and the primary account holder (“Location Owner”). Individuals who are authorized to access a Location Owner’s Products and Services are authorized users (“Location Members”) under the Location Owner’s account and are invited through the Mobile Application. Location Members may have the ability to use the Services and monitor and control the Products (for example, a Location Member can arm or disarm the Product or sound the Siren). Location Members may also have the ability to view information (including personal information) and content across all of Location Owner’s Products (for example, a Location Member will receive notifications of events or can view video). Location Members are responsible for their own actions in connection with the Products and Services, but the Location Owner also agrees to be fully responsible for all actions taken by a Location Member relating to the Products and Services. Once invited by a Location Owner, Location Members can also invite other individuals to join the account as new location members. If you are a Location Owner, you should therefore authorize only those individuals that you trust to access your account and the Services. Location Owners have special privileges associated with their account and are the only individuals that can authorize specific actions or settings. For example, Location Owners are solely authorized to request location level data be deleted, to transfer ownership of the Product, or to subscribe to paid features, such as Canary’s subscription plans. Please note that for security reasons, Canary will not determine or change ownership of a device for any reason without the express written consent of the individual designated as the “Location Owner” at device setup. If you transfer your Canary device to a new owner, your right to use the Services with respect to that device will automatically terminate. The new owner cannot use the Canary Product or Services under your account and will need to register for a separate account with Canary. Canary cares about the integrity and security of its users’ personal information. Canary uses industry best practices when it comes to security. Canary has also conducted third-party security audits with respect to the Services. Despite taking these steps, Canary cannot guarantee that unauthorized third parties will never be able to defeat Canary’s security measures. You acknowledge that you provide your personal information and your use of the Services is at your own risk. By using the Services, you consent to receiving service related electronic communications from Canary, which may include notices about applicable fees, transactional information, and other information related to the Services. You agree that any notices, agreements, disclosures, or other communications that we send you electronically will satisfy any legal requirements, including that such communications be in writing. These Terms continue in effect while you access and use the Services. At any time, Canary may (i) suspend or terminate your rights to access or use the Services (which include, for avoidance of doubt, any Premium Services), or (ii) terminate these Terms if Canary in good faith believes that you have used the Services in violation of these Terms, including any incorporated guidelines or terms. Upon termination of this Agreement, your right to use the Services will automatically terminate. The proprietary rights, disclaimer of warranties, representations made by you, indemnities, limitations of liability, governing law & jurisdiction and general provisions shall survive any termination of these Terms. Canary may temporarily suspend the Services without notice for security reasons, system failure, maintenance and repair, or other circumstances. Canary does not offer any specific uptime guarantee for the Services. Any termination or suspension of any Services (including Premium Services) will not result in any credit or refund of any kind. Canary does not warrant that the Mobile Application will be compatible with your mobile device. Other applications may interact with the Mobile Application in unpredictable ways, and Canary does not warrant against malfunctions or errors caused by such interactions. Canary grants to you a non-exclusive, non-transferable, revocable license to use any object code copy of the Mobile Application for one registered account on one mobile device owned or leased solely by you for your personal use in connection with the Services. Canary and its third-party licensors or suppliers retain all right, title, and interest in and to the Mobile Application. Standard carrier data charges may apply to your use of the Mobile Application. You acknowledge that these Terms are between you and Canary only, and not with Apple, Inc. (“Apple”) or Google, Inc. (“Google”). Your use of Canary’s Mobile Application must comply with Apple’s then-current App Store Terms of Service and Google’s then-current Google Play Terms of Service. Canary is solely responsible for our Mobile Applications and the Services. You acknowledge that Apple and Google have no obligation to provide maintenance and support services with respect to our Mobile Applications. You agree that Canary is solely responsible for addressing any claims by you or any third party relating to the Mobile Applications, including, but not limited to: (i) product liability claims; (ii) any claim that the Mobile Application fails to conform to any applicable legal or regulatory requirement; and (iii) claims arising under consumer protection or similar legislation, and that all such claims are governed solely by these Terms and any applicable laws. The parties agree that Apple and Google are third-party beneficiaries to these Terms as they relate to your license of Canary’s Mobile Applications. Although the Services are accessible worldwide, Canary’s Services are not available to all persons or in all countries, including persons and countries prohibited by US law. If you are accessing or using the Services from an unsupported country, you do so on your own initiative and you are solely responsible for complying with applicable local laws. Canary is the exclusive owner of rights and interests in and to the mark Canary, the C logo, the Canary logo, Canary Flex, and Live Life in the Know in the United States and abroad. Other trademarks, names, and logos on or available through the Services are the property of their respective owners. Unless otherwise specified in these Terms, all technology and intellectual property available or appearing on or through any of the Services, including the Mobile Application, information, software, documents, services, content, site design, text, graphics, logos, images, and icons, are the sole property of Canary or its licensors. All rights not expressly granted herein are reserved by Canary. 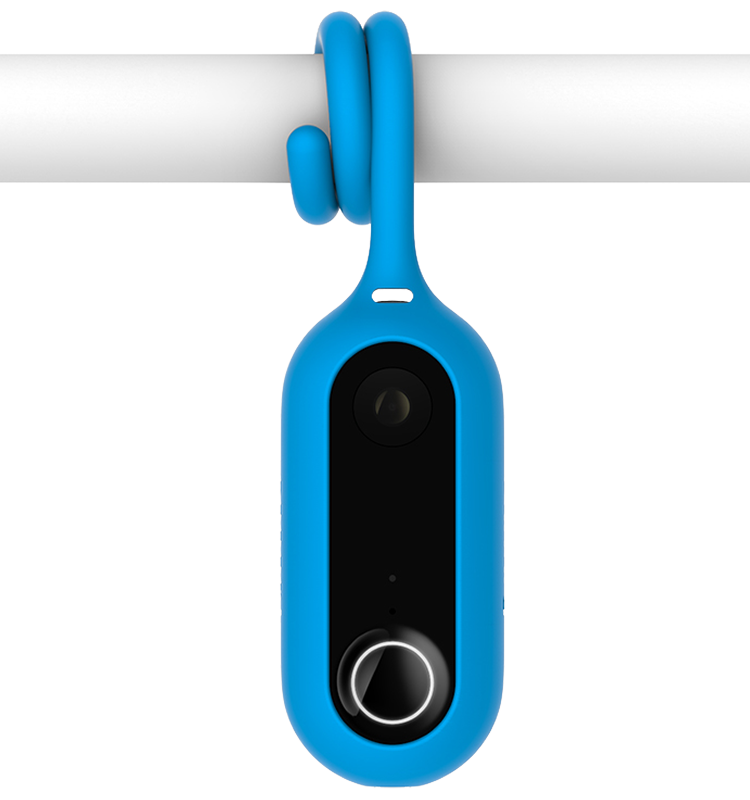 The warranty for the Canary Product is set forth in the Canary Limited Warranty. CANARY, FOR ITSELF AND ITS LICENSORS, MAKES NO EXPRESS, IMPLIED OR STATUTORY REPRESENTATIONS, WARRANTIES, OR GUARANTEES IN CONNECTION WITH THE SERVICES. UNLESS OTHERWISE EXPLICITLY STATED, TO THE MAXIMUM EXTENT PERMITTED BY APPLICABLE LAW, THE SERVICES AND MATERIALS AND ANY INFORMATION OR MATERIAL CONTAINED OR PRESENTED IS PROVIDED TO YOU ON AN “AS IS,” “AS AVAILABLE,” AND “WHERE-IS” BASIS, AND CANARY DISCLAIMS AND EXCLUDES ALL WARRANTIES, WHETHER STATUTORY, EXPRESS, OR IMPLIED, INCLUDING, WITHOUT LIMITATION, IMPLIED WARRANTY OF MERCHANTABILITY, FITNESS FOR A PARTICULAR PURPOSE, TITLE, SATISFACTORY QUALITY, AND NON-INFRINGEMENT OF THIRD-PARTY RIGHTS. Canary does not provide any warranties against viruses, spyware, or malware that may be installed on your mobile device or computer. 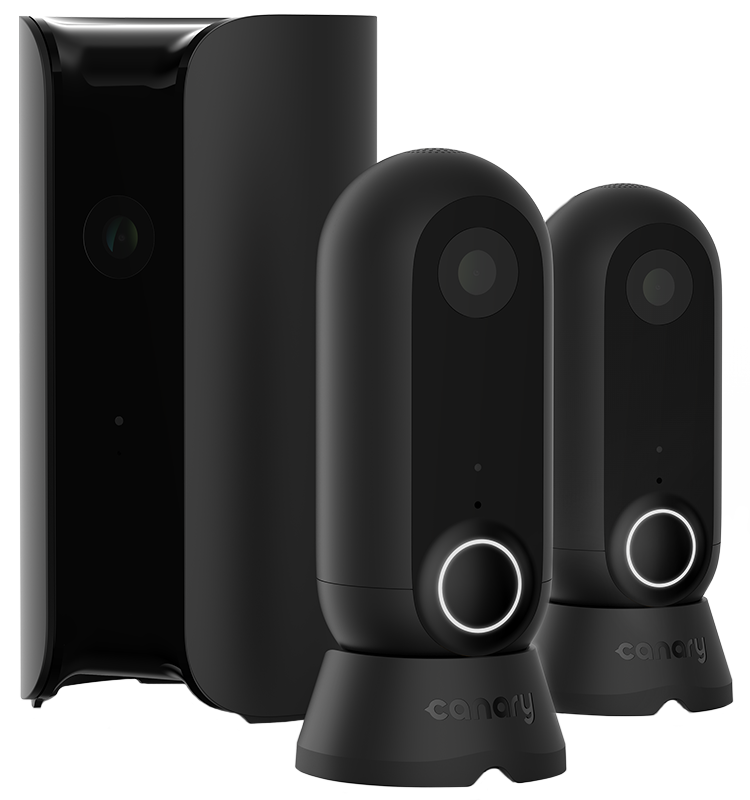 Canary’s equipment and Services cannot eliminate occurrences of the events they are intended to detect or avert, including fires, floods and burglaries. Other than as expressly set forth in the Canary Limited Warranty, Canary makes no guarantee or warranty that the Canary product or Services will detect or avert such incidents. You release, waive, discharge, and promise not to sue or bring any claim of any type against Canary for loss, damage, or injury relating in any way to the Product or Services. Canary and its licensors and suppliers make no warranty that defects will be corrected or that the Services (i) will meet your needs or requirements; (ii) will be compatible with your home network, computer, or mobile device; (iii) will be available on an uninterrupted, timely, secure, or error-free basis; (iv) will be accurate or reliable; or (v) will give notifications at any given time or at all. No advice or information, whether oral or written, obtained by you from Canary or through the Services shall create any warranty. 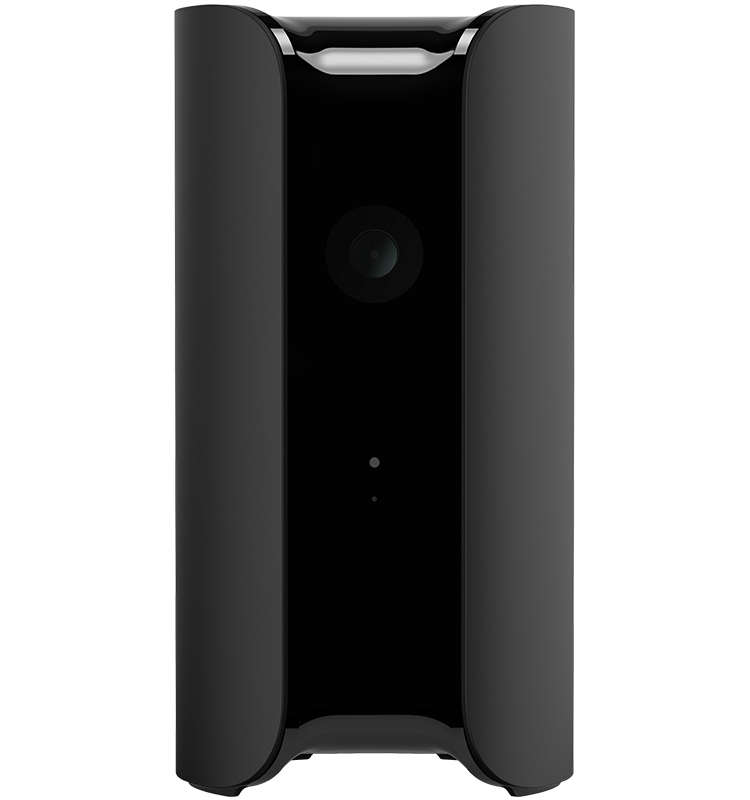 Human error is always possible, and the response time of police, fire, and medical emergency personnel is outside the control of Canary. You may not receive alarm signals if communication lines or power is interrupted for any reason. MOBILE NOTIFICATIONS FROM YOUR CANARY PRODUCT ARE PROVIDED FOR INFORMATIONAL PURPOSES ONLY. If any other person, including your subrogating insurer, makes any claim or files a lawsuit against Canary in any way relating to the Products or Services, you shall indemnify, defend and hold Canary harmless from the claim or lawsuit, including the payment of all damages, expenses, costs, and attorney’s fees. IN NO EVENT SHALL CANARY BE LIABLE TO YOU FOR ANY INDIRECT, EXTRAORDINARY, EXEMPLARY, PUNITIVE, SPECIAL, INCIDENTAL, OR CONSEQUENTIAL DAMAGES (INCLUDING LOSS OF DATA, REVENUE, PROFITS, USE, OR OTHER ECONOMIC ADVANTAGE) HOWEVER ARISING, EVEN IF CANARY KNOWS THERE IS A POSSIBILITY OF SUCH DAMAGE. CANARY’S TOTAL LIABILITY ARISING FROM OR RELATED TO ANY OF THE SERVICES OR THE PRODUCTS, WHETHER IN CONTRACT, TORT (INCLUDING NEGLIGENCE AND STRICT LIABILITY), OR OTHERWISE, WILL NOT EXCEED THE FEES ACTUALLY PAID BY YOU TO CANARY OR CANARY’S AUTHORIZED RESELLER FOR THE SERVICES OR THE PRODUCT AT ISSUE IN THE PRIOR 12 MONTHS (IF ANY). No suit or action may be brought against Canary more than one year after the date of the incident that resulted in the loss, injury, or damage, or the shortest duration permitted under applicable law. 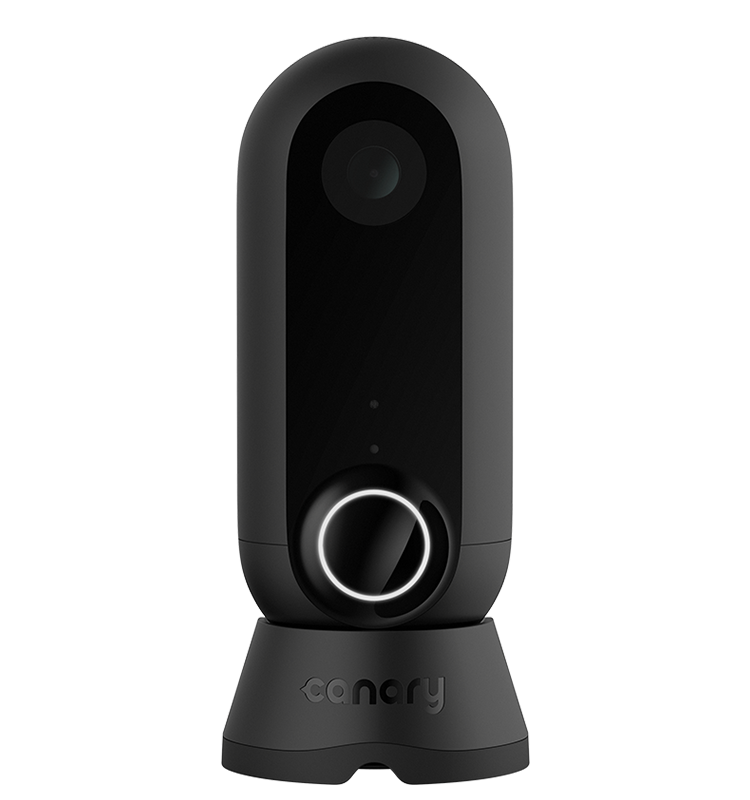 Most customer concerns can be resolved quickly by contacting us at support@canary.is. This section relates to disputes that may arise between you and Canary. Arbitration is a form of private dispute resolution in which persons with a dispute waive their rights to file a lawsuit, to proceed in court, and to a jury trial, and instead submit their disputes to a neutral third person (or arbitrator) for a binding decision. You have the right to opt out of this provision (as explained below), which means you would retain your right to litigate your disputes in a court, either before a judge or jury. Please read this provision carefully. All Disputes between you and Canary shall be resolved by binding arbitration. Arbitration replaces the right to go to court. In the absence of this arbitration agreement, you may otherwise have a right or opportunity to bring claims in a court, before a judge or jury, and/or to participate in or be represented in a case filed in court by others (including, but not limited to, class actions). Except as otherwise provided, entering into this agreement constitutes a waiver of your right to litigate claims and all opportunity to be heard by a judge or jury. There is no judge or jury in arbitration, and court review of an arbitration award is limited. The arbitrator must follow this agreement and can award the same damages and relief as a court (including attorney’s fees). For the purpose of this provision, “Canary” means Canary and its parents, subsidiary, and affiliate companies, and each of their respective officers, directors, employees, and agents. “Dispute” means any dispute, claim, or controversy between you and Canary regarding any aspect of your relationship with Canary, whether based in contract, statute, regulation, ordinance, tort (including, but not limited to, fraud, misrepresentation, fraudulent inducement, or negligence), or any other legal or equitable theory, and includes the validity, enforceability, or scope of this provision (with the exception of the enforceability of the Class Action Waiver clause below). “Dispute” is to be given the broadest possible meaning that will be enforced, and shall include any claims against other parties relating to services or products provided or billed to you (such as Canary’s licensors, suppliers, dealers, or third-party vendors) whenever you also assert claims against us in the same proceeding. For all Disputes, you must first give Canary an opportunity to resolve the Dispute by mailing written notification of your dispute to Canary. That written notification must include (1) your name, (2) your address, (3) a written description of your claim, and (4) a description of the specific relief you seek. If Canary does not resolve the Dispute within 60 days after it receives your written notification, you may pursue your Dispute in arbitration. You may pursue your Dispute in a court only under the circumstances described below. Notwithstanding the above, you or Canary may choose to pursue a Dispute in court and not by arbitration if (a) the Dispute qualifies, in which case it may be initiated in small claims court; or (b) YOU OPT OUT OF THESE ARBITRATION PROCEDURES WITHIN 30 DAYS OF THE DATE THAT YOU FIRST CONSENT TO THIS AGREEMENT (the “Opt-Out Deadline”). You may opt out of this provision by mailing written notification to Canary. Your written notification must include (1) your name, (2) your address, and (3) a clear statement that you do not wish to resolve disputes with Canary through arbitration. Any opt-out request received after the Opt-Out Deadline will not be valid and you must pursue your Dispute in arbitration or small claims court. Arbitration Award – The arbitrator may award relief that would be available pursuant to applicable law, and will not have the power to award relief to, against or for the benefit of any person who is not a party to the proceeding. The arbitrator will make any award in writing but need not provide a statement of reasons unless requested by a party. Such award will be final and binding on the parties, except for any right of appeal provided by the FAA, and may be entered in any court having jurisdiction over the parties.. Location of Arbitration – You or Canary may initiate arbitration in either New York City, New York or the federal judicial district that includes your billing address. In the event that you select the federal judicial district that includes your billing address, Canary may transfer the arbitration to New York City, New York if it agrees to pay any additional fees or costs you incur as a result of the transfer, as determined by the arbitrator. Payment of Arbitration Fees and Costs – Canary will pay all arbitration filing fees and arbitrator’s costs and expenses upon your written request given prior to the commencement of the arbitration. You are responsible for all additional fees and costs that you incur in the arbitration, including, but not limited to, attorneys or expert witnesses. Fees and costs may be awarded as provided pursuant to applicable law. In addition to any rights to recover fees and costs under applicable law, if you provide notice and negotiate in good faith with Canary as provided in the section above titled “Pre-Arbitration Claim Resolution” and the arbitrator concludes that you are the prevailing party in the arbitration, you will be entitled to recover reasonable attorney’s fees and costs as determined by the arbitrator. Except as otherwise provided in this provision, the arbitrator may not consolidate more than one person’s claims, and may not otherwise preside over any form of a class or representative proceeding or claims (such as a class action, consolidated action, or private attorney general action) unless both you and Canary specifically agree to do so following initiation of the arbitration. If you choose to pursue your Dispute in court by opting out of the Arbitration provision, as specified above, this Class Action Waiver will not apply to you. You understand and agree that by entering into this Agreement you and Canary are each waiving the right to a jury trial or a trial before a judge in a public court. In the absence of this provision, you and Canary might otherwise have had a right or opportunity to bring Disputes in a court, before a judge or jury, and/or to participate or be represented in a case filed in court by others (including class actions). Except as otherwise provided below, those rights are waived. Other rights that you would have if you went to court, such as the right to appeal and to certain types of discovery, may be more limited or may also be waived. This provision shall survive the termination of your service with Canary or its affiliates. Notwithstanding any provision in this Agreement to the contrary, we agree that if Canary makes any change to this provision (other than a change to the Notice Address), you may reject any such change and require Canary to adhere to the language in this provision if a dispute between us arises. The Federal Arbitration Act, Delaware state law, and applicable U.S. federal law, without regard to the choice or conflicts of law provisions, will govern these Terms. The United Nations on Contracts for the International Sale of Goods and any laws based on the Uniform Computer Information Transactions Act (UCITA) shall not apply to this Agreement. Except for Disputes subject to arbitration as described above, any disputes relating to these Terms or the Services will be heard in the federal or state courts located in New York, New York. If any of these Terms is found to be inconsistent with applicable law, then such term shall be interpreted to reflect the intentions of the parties, and no other terms will be modified. Canary’s failure to enforce any of these Terms is not a waiver of such terms. These Terms are the entire agreement between you and Canary with respect to the Services, and supersede all prior or contemporaneous negotiations, discussions, or agreements between you and Canary. California residents may reach the Complaint Assistance Unit of the Division of Consumer Services of the California Department of Consumer Affairs by post at 1625 North Market Blvd., Sacramento, CA 95834 or by telephone at (916) 445-1254 or (800) 952-5210 or Hearing Impaired at TDD (800) 326-2297 or TDD (916) 322-1700. Our Services are constantly evolving to help us deliver exciting and useful improvements to you. Canary may make changes to, suspend, or discontinue the Services at any time. Canary is not liable to you or to any third party for any modification, suspension, or discontinuance of the Services. Canary may also change, update, add, or remove provisions of these Terms at any time by posting the updated Terms on Canary’s website, by providing notice through the Services, or by emailing you of any changes. By using the Services after Canary has updated the Terms, you are agreeing to all the updated Terms; if you do not agree with any of the updated Terms, you must immediately stop using the Services.